You are here: Home / Beauty / Art / Best Fairytale Movie Ever Made! Best Fairytale Movie Ever Made! 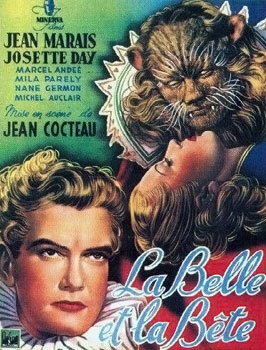 In my humble opinion, Beauty and the Beast (French: La Belle et la Bête) a 1946 French romantic fantasy film; is the most magical fairytale ever produced! When watching I get swept up into the subtle images and dreamscapes, hypnotic sounds and music, light in dialogue (French with English subtitles) the incomparable scenery, costumes and landscapes along with the impeccable acting makes the dialogue almost unnecessary. One of the most versatile artists of the 20th century, Cocteau had first sprung to prominence as a poet before establishing himself as a visual artist, dramatist and, eventually, filmmaker. 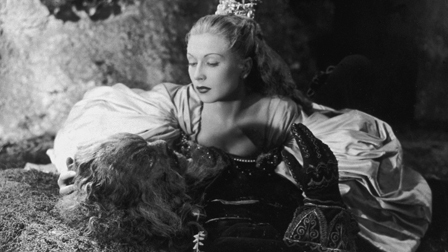 It was Marais (his lover) who suggested filming the classic fairy tale first set to paper in the 18th century by Jeanne-Marie Leprince de Beaumont. The story had only been filmed once previously, in 1899. Cocteau wanted to shoot the film in color, but there was little color stock available, so he had to settle for black and white. Even then, there were only scraps of film stock available and not always in the best condition. As a result, image quality varied from scene to scene, a problem he ultimately decided would add to the picture’s dreamlike qualities. He had to fight with cinematographer Henri Alekan to capture those qualities properly. Alekan wanted to use soft focus and only grudgingly acceded to Cocteau’s demands that the film be shot more crisply — in a visual style modeled in the art of Vermeer (Girl with a Pearl Earring) and Gustave Dore (mainly worked in the medium of wood engraving) — to show the mystical qualities behind everyday things; Cocteau’s artistic vision. « Beautiful & Inspiring Poem About Tea!